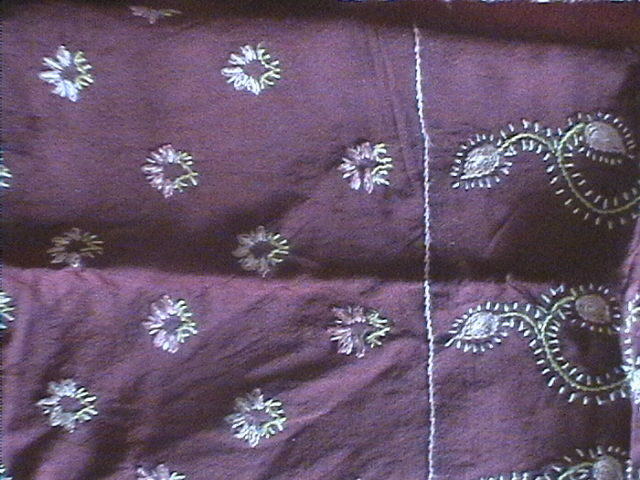 After working with light golden colour skein, the florals are worked in half-white colour thread. 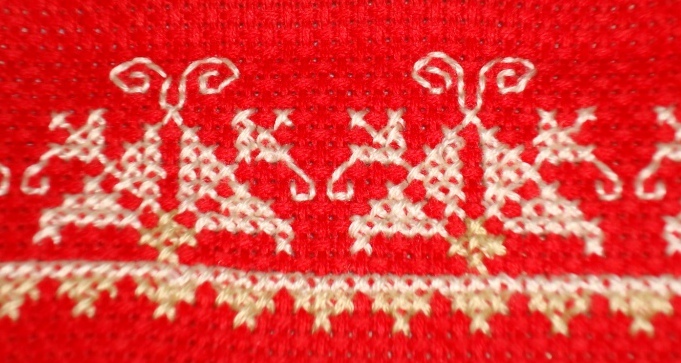 The working of the sleeves on my next post. 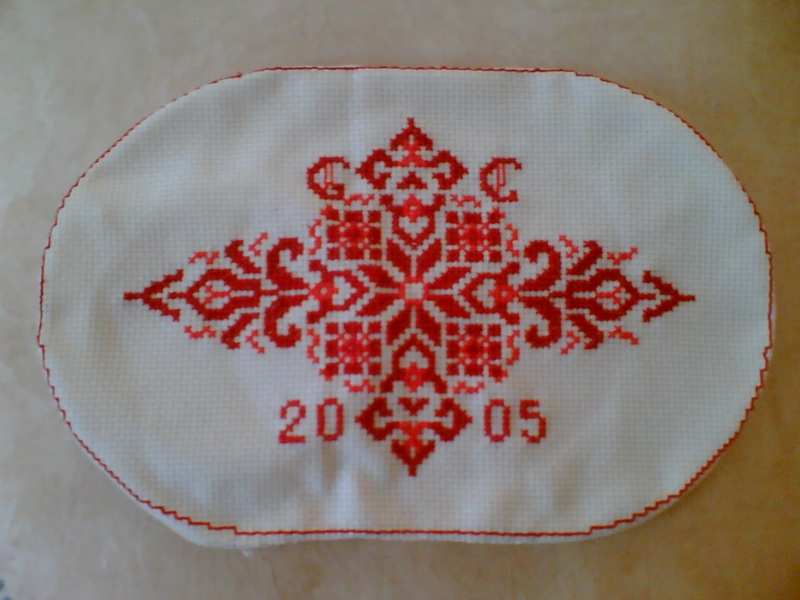 I worked cross stitch pattern from an antique cross stitch E-book on red aida cloth. 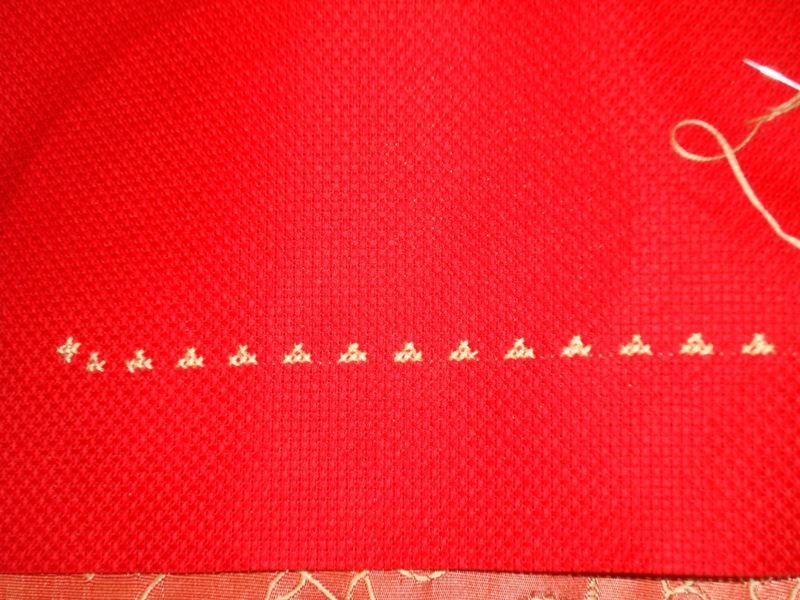 This red was actually too bright for the half-white tunic fabric. 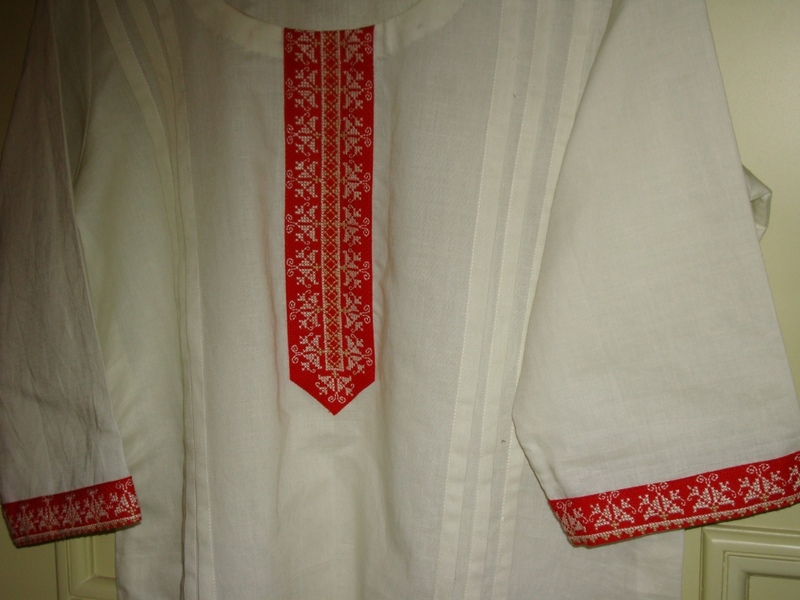 After seeing some ethnic tunics, which had this bright red embroidery on white tunics, I thought , this might work out fine. 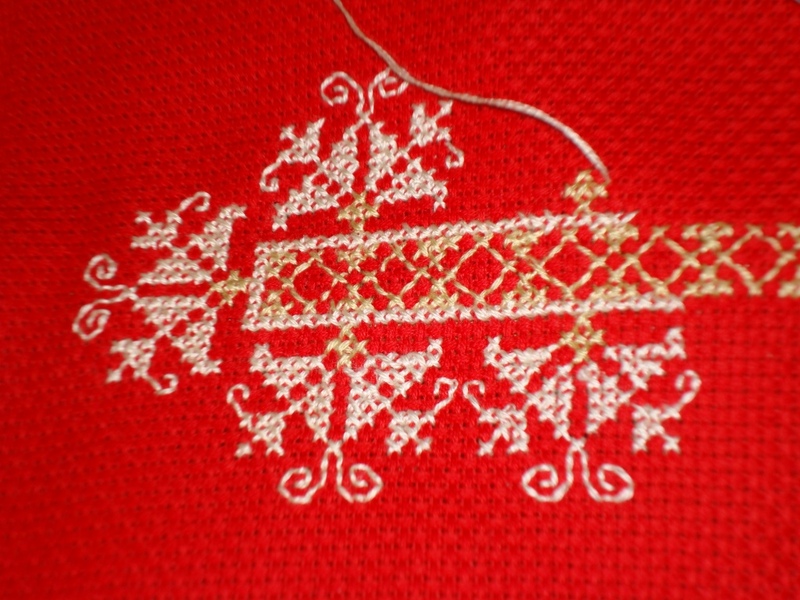 I started the cross stitches with light golden colour cotton skein . which was seen on my last post. this is the yoke part.More on my next post. 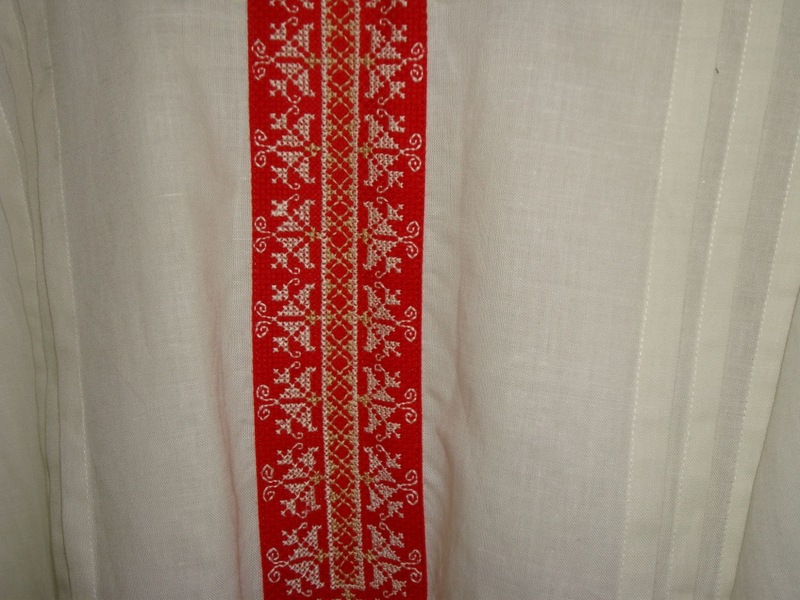 I had this linen fabric in half- white. 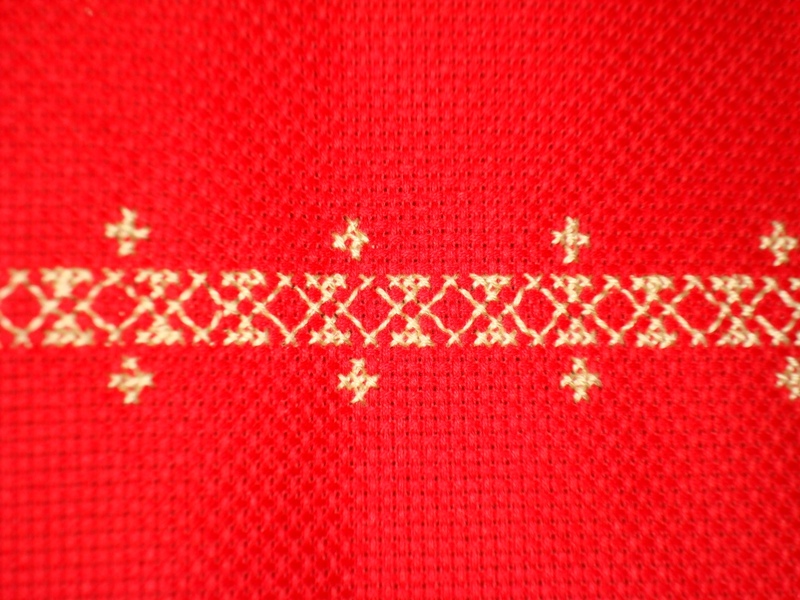 For this I wanted to do a cross stitch patch for yoke and sleeves. 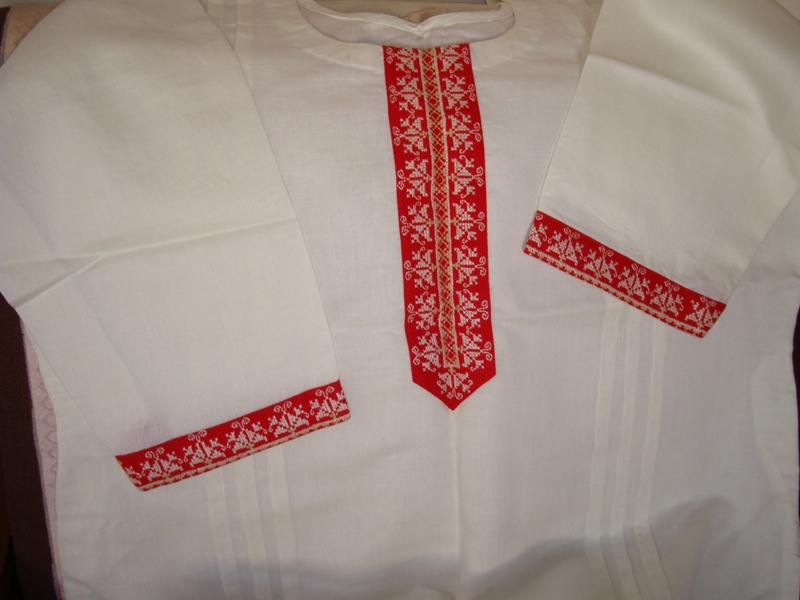 The idea came from seeing some tunic designs. I did not have red and white combination in tunic. 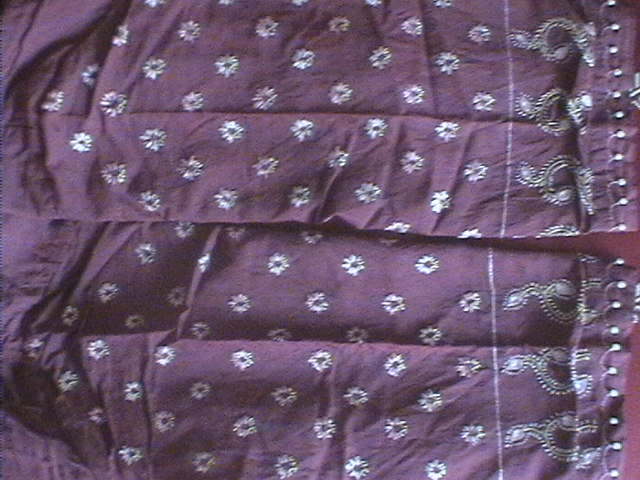 Generally red is quite common in Indian fabrics, we keep stumbling upon red colour in every other corner. I try not use red, but an exception ws made for this tunic. 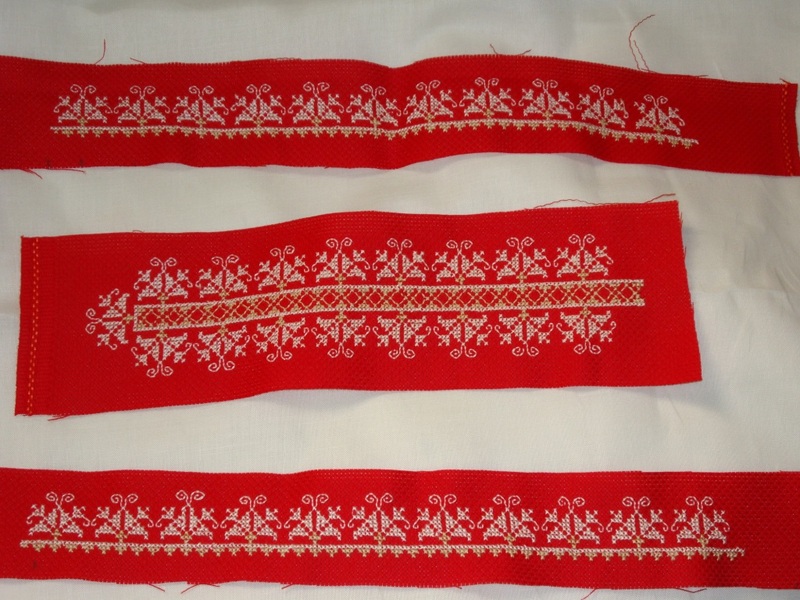 After seeing some ethnic European tunics, I decided to use red colour aida cloth for working the cross stitch. 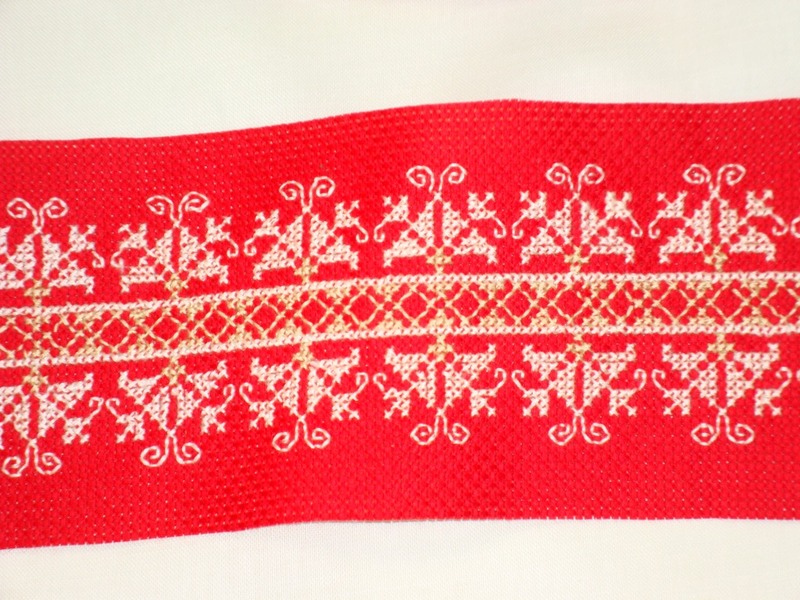 The pattern was taken from one of the e-books down loaded from antique pattern library.the same border pattern is used for both yoke and sleeves. 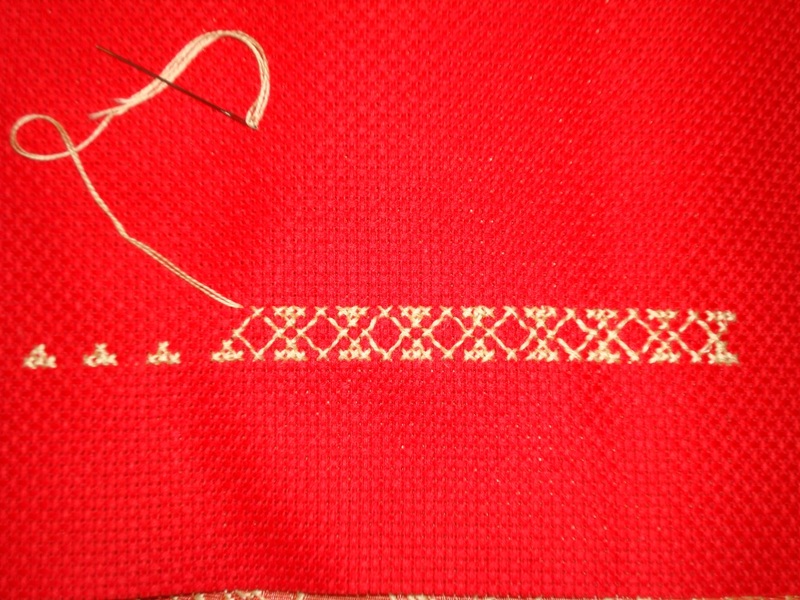 I just altered the pattern to suit the curve on the yoke White and light gold colour thread were used to work the cross stitch. I did not want to use too many colour contrasts in this project.